“We are thrilled to receive this funding from the Bill & Melinda Gates Foundation and the government of Malawi to maximize the impact of the Safe Motherhood Initiative and improve the lives of women in Malawi,” said Jeff Wilkinson, associate professor of obstetrics and gynecology at the University of North Carolina at Chapel Hill. 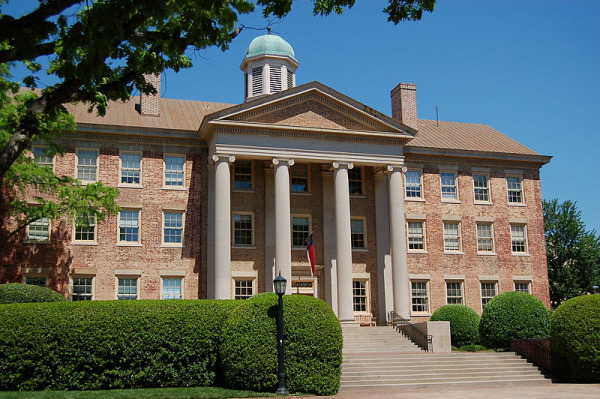 According to the Island Gazette, the University of North Carolina at Chapel Hill will work on building maternity facilities where women who are going to give birth or who have just had children will receive maternity services and education. The University of North Carolina at Chapel Hill will also help to train maternal and newborn health care providers, including nurses, midwives and obstetrician-gynecologists. The university is also working towards establishing Malawi’s first residency program in obstetrics and gynecology. “UNC is deeply committed to women’s health around the world, and we will do everything we can to assist President Banda’s initiative to make pregnancy and delivery safer for all women,” said Jeff Stringer, MD, an obstetrician who works in Zambia and serves as director of UNC Global Women’s Health. The University of North Carolina at Chapel Hill has been working in Malawi for over 20 years. The university has seven faculty members living and working in Malawi and Zambia and is the largest global OB-GYN division in the United States. In addition to making important contributions to global health in Malawi, the University of North Carolina at Chapel Hill is a well-funded market for lab suppliers interested in marketing life science solutions and increasing lab sales leads, according to recent NIH and NSF research funding statistics. In 2012, the NIH awarded the university $367.8 million in research funding, while the University of North Carolina at Chapel Hill also received $38.8 million from the NSF in 2012. Of the NSF research money, $11.5 million went to life science projects alone. Biotechnology Calendar, Inc. invites all lab suppliers interested in marketing their life science solutions and increasing lab sales leads at life science marketing events to attend our annual Chapel Hill BioResearch Product Faire™ Event. Last year, the Chapel Hill BioResearch Product Faire™ attracted 87 attendees. Of those who attended, 37 were purchasing agents, professors and post docs, and 15 were lab managers. The attendees came from 14 different research buildings and 25 departments across campus. Biotechnology Calendar, Inc. is a full-service science research marketing and events-planning company that organizes life science marketing events at top research institutions nationwide. For more detailed funding statistics on the University of North Carolina at Chapel Hill, or to learn more about the Chapel Hill BioResearch Product Faire™ Event, click on the button below. If you are interested in marketing your life science solutions and increasing lab sales leads at life science marketing events closer to home, we encourage you to view our 2013 calendar of events.